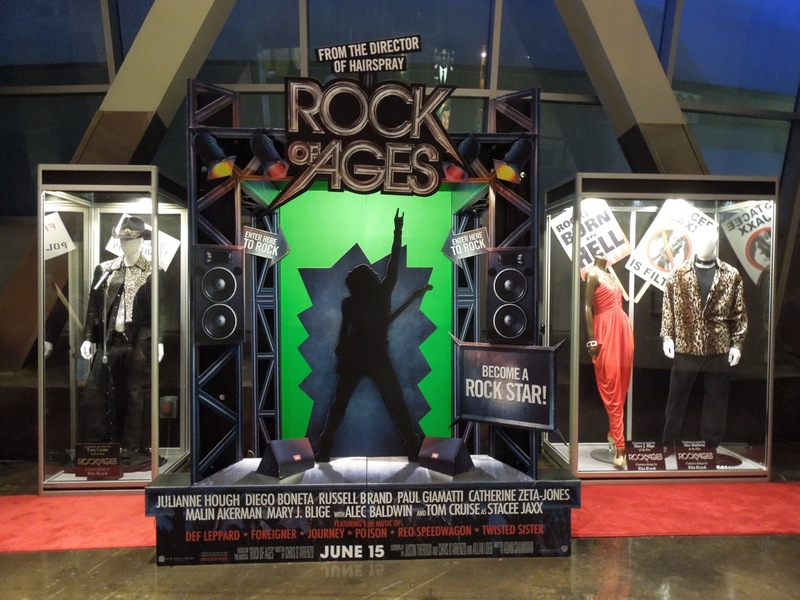 Rock of Ages is the latest Broadway musical to make its way to the big screen and sports an all-star cast. 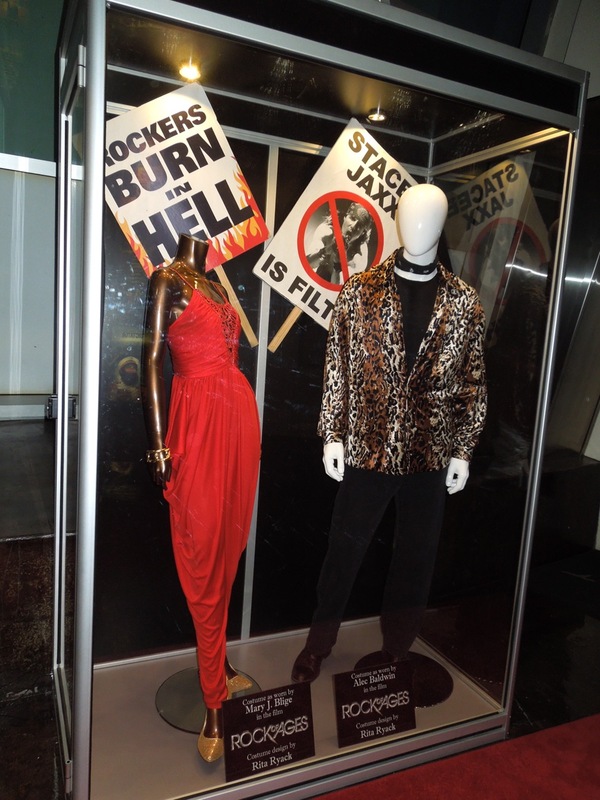 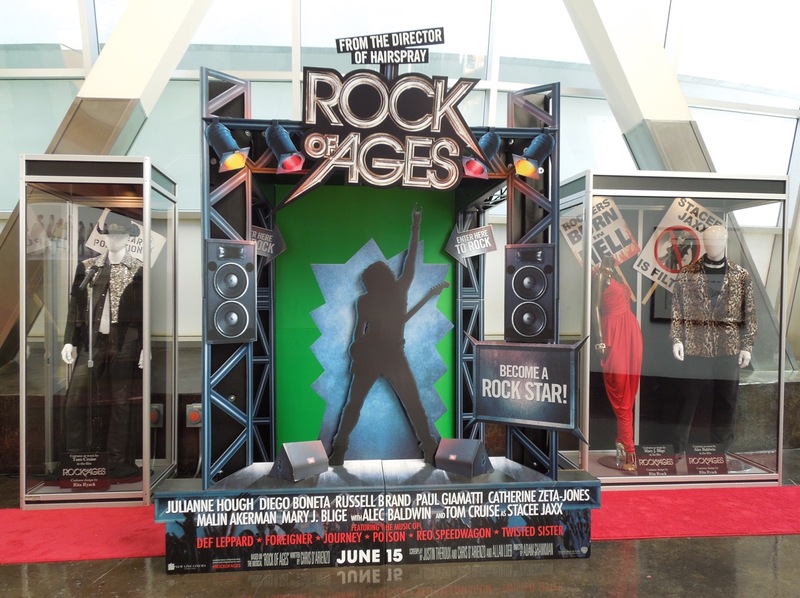 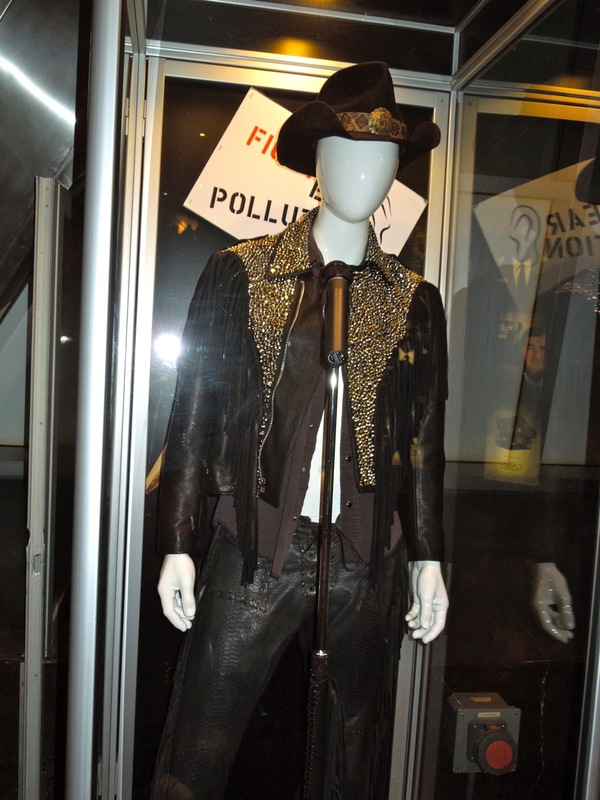 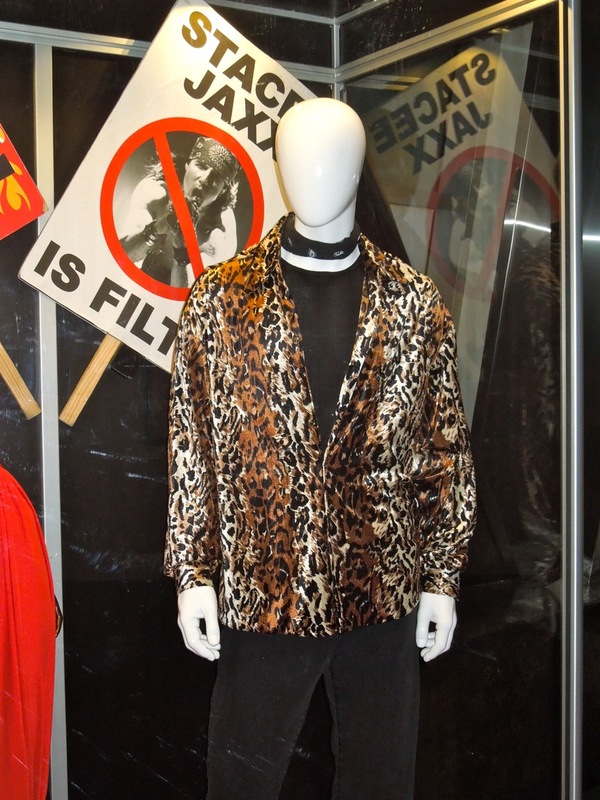 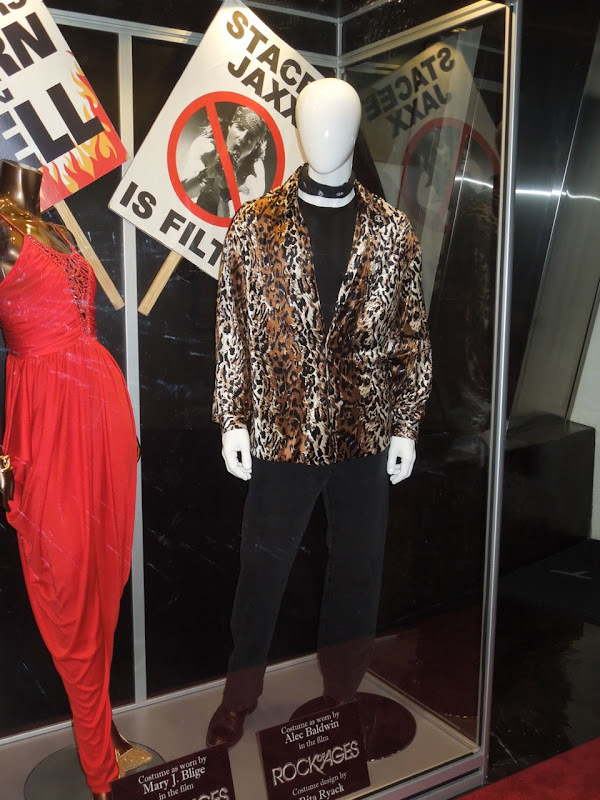 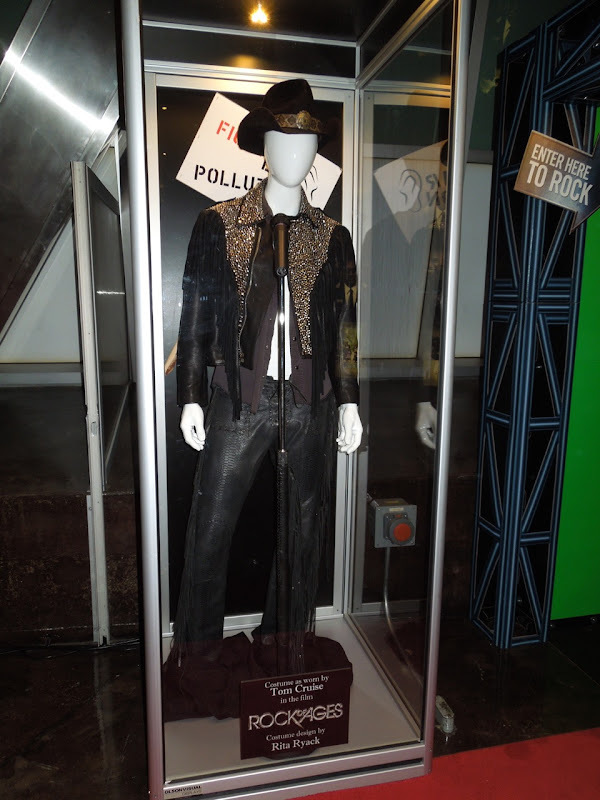 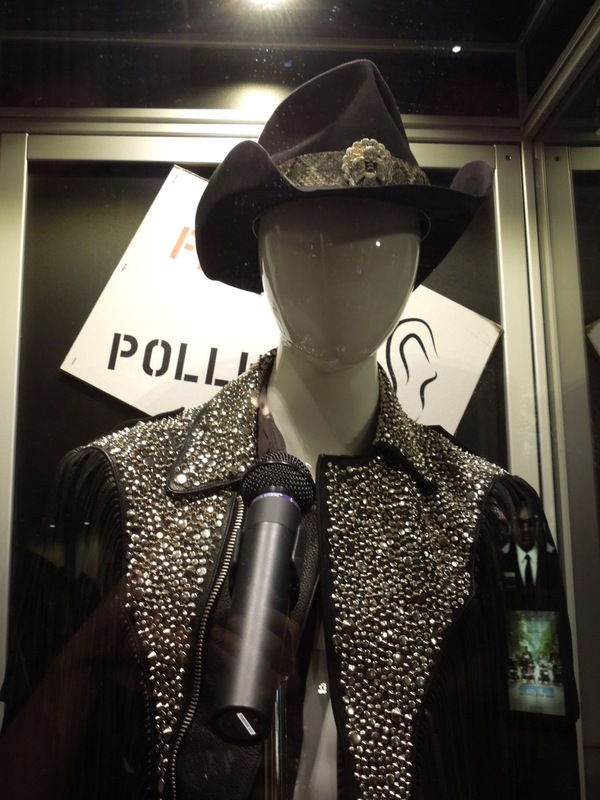 This exhibit of Rita Ryack's costume designs from the glam metal 80's based movie was photographed on display at ArcLight Hollywood cinema on May 26, 2012. 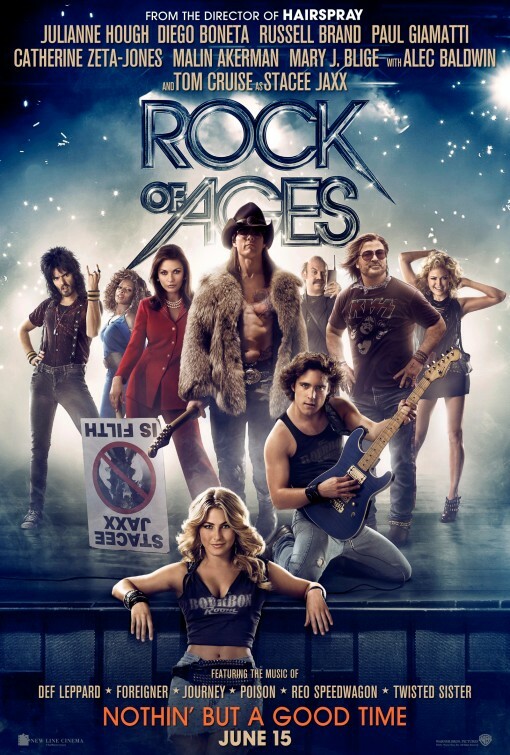 The movie adapted from Chris D'Arienzo's 2006 rock musical of the same name stars Tom Cruise as rock legend, lead singer of 'Arsenal' and idol of millions 'Stacee Jaxx'. 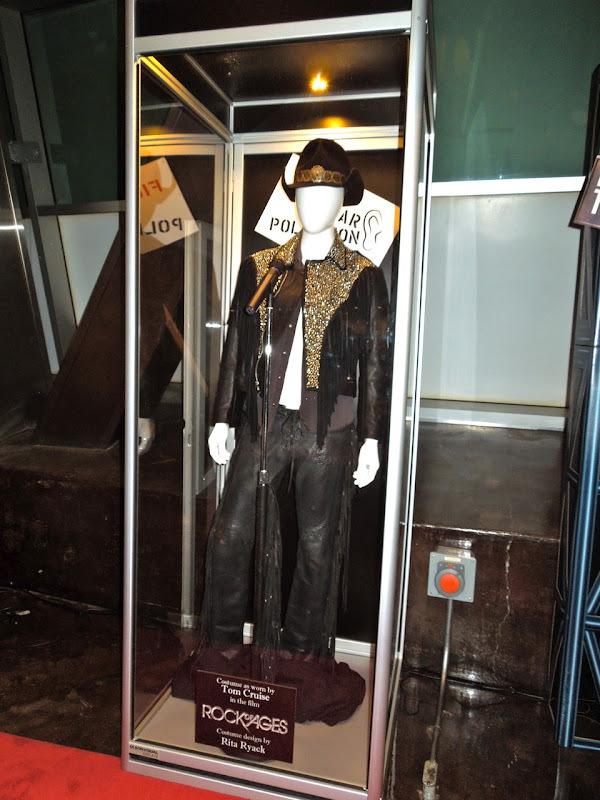 R&B artist Mary J. Blige stars as Justice Charlier, owner of The Venus Club in Hollywood. 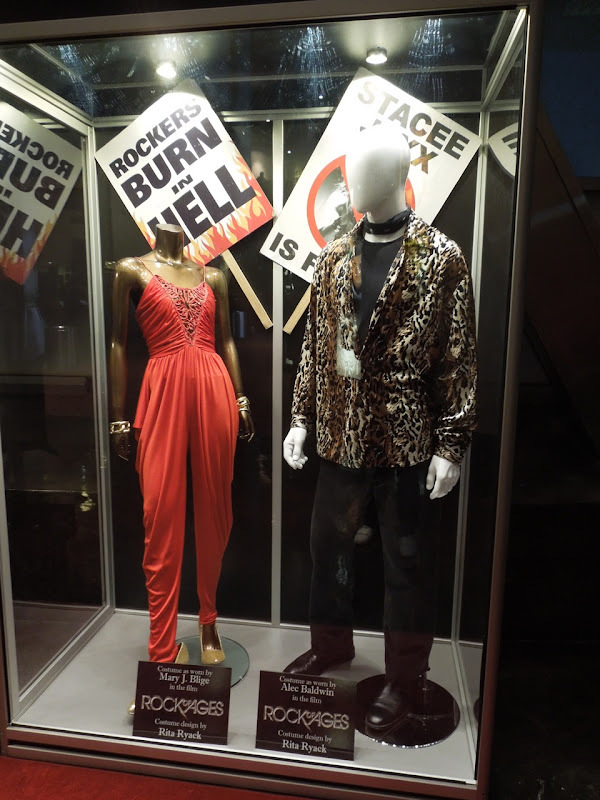 Alec Baldwin plays 'Dennis Dupree', the owner of The Bourbon Room along L.A.'s infamous Sunset Strip. 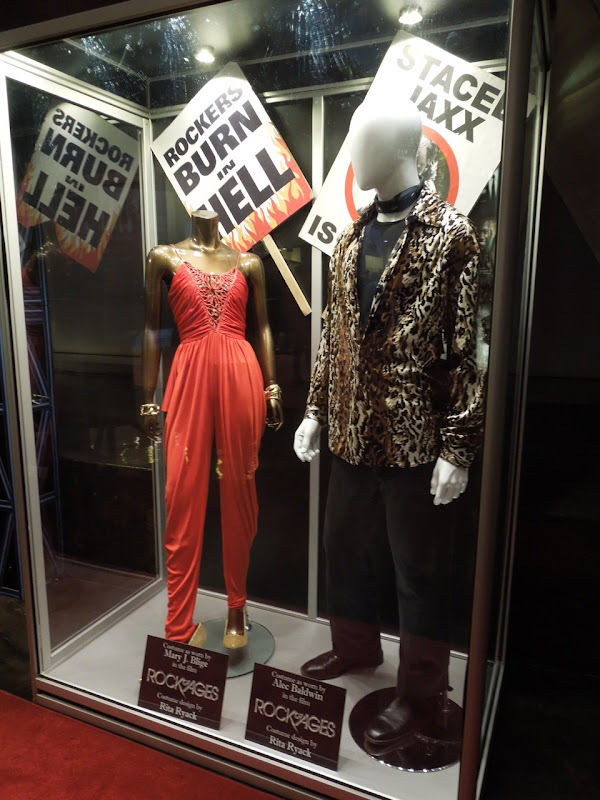 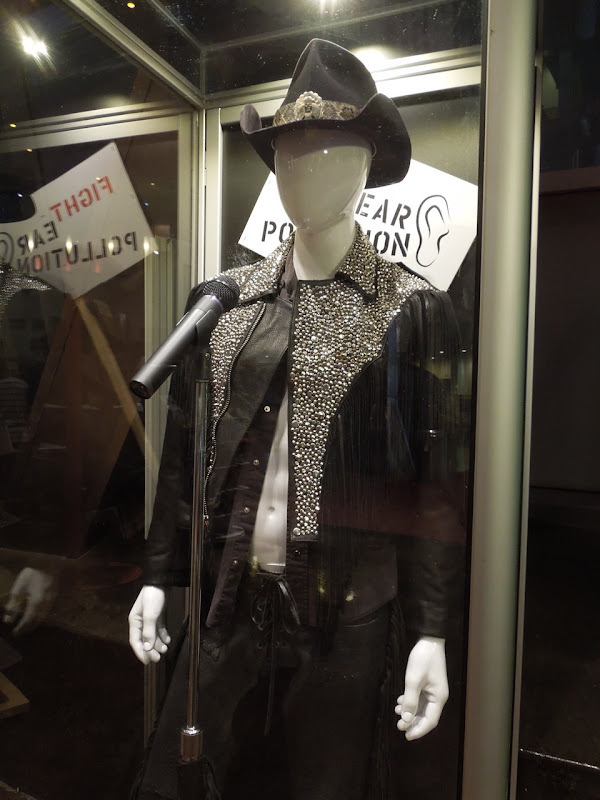 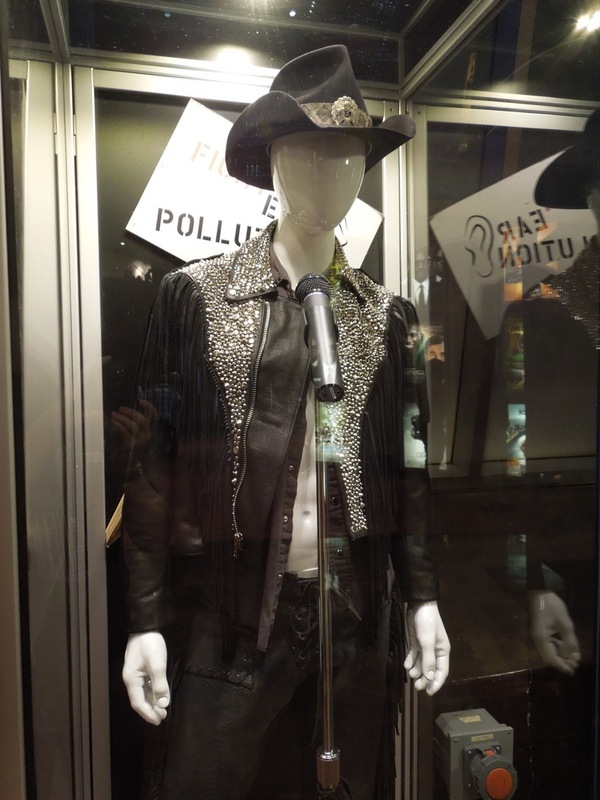 If you like these outfits, you may want to check out these original costumes from the Footloose movie remake and fabulous outfits worn by Christina Aguilera in Burlesque.